A three wheeled mobility scooter is a mobility aid much like a wheelchair but set up like an electric scooter. Like other electric scooters they are normally powered by an on-board rechargeable battery and configured with a step through frame, meaning that there are no doors or sides to negotiate. 1 Why choose a three wheeled mobility scooter? 2 Are there any compromises with a three wheeled mobility scooter? 3 What is health and well-being? 4 How does the three wheeled mobility scooter support my health and well-being? 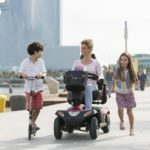 Why choose a three wheeled mobility scooter? Three wheeled mobility scooters are designed for greater maneuverability and they have a smaller turning circle than the 4 wheeled models. This makes them an excellent choice for use in shops, indoor spaces, on paved areas or where the surface is relatively level. Are there any compromises with a three wheeled mobility scooter? Due to the narrower base they are generally less stable and not designed for rough terrain. However, stability can be increased significantly by considering a larger sized three wheeled mobility scooter which has a heavier frame and can accommodate wider tyres. The World Health Organisation (WHO) define health as a state of complete physical, mental and social well-being, not merely the absence of disease or infirmity. This definition has not changed since 1948. Well-being however has changed in definition over time depending on sociocultural trends but is generally understood as the combined result of physical, social, intellectual and emotional factors. How does the three wheeled mobility scooter support my health and well-being? 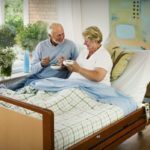 Many people have an idea about how to improve health and well-being but when they come to implement those ideas encounter a number of significant barriers. Awareness and intention therefore are rarely enough. It is therefore important that members of a healthy community are able to compensate for deficits impacting on their occupational performance and ability to engage socially. 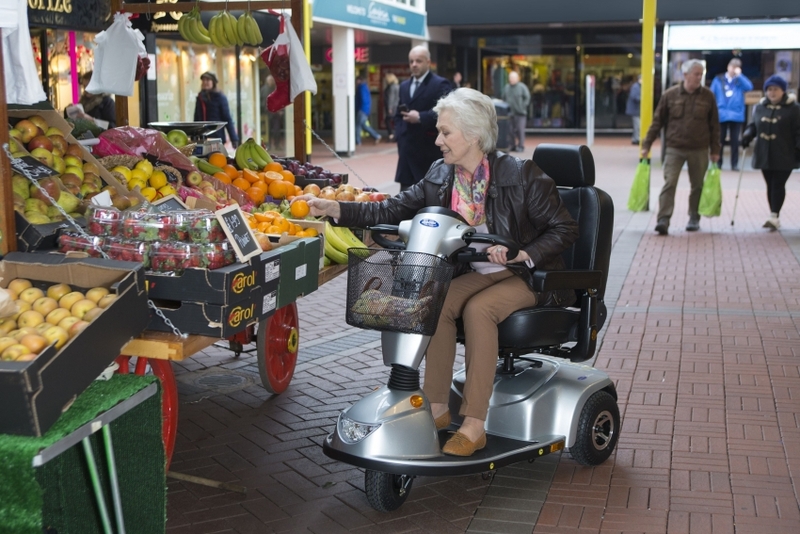 The three wheeled scooter is one such piece of compensatory equipment and can support in a number of different areas that directly impact on health and well-being. Shopping – Due to the reduced turning radius of a three wheeled mobility scooter the user has far greater flexibility and opportunity to access stores they would otherwise be unable to. This empowers the user to take control over diet, routine and elements of social interaction. Leisure – The three wheeled mobility scooter allows the user to engage in social activities that are meaningful to them. Evidence suggests that engagement in meaningful activity has a significantly positive impact on mental health. The versatility of a three wheeled mobility scooter often allows the user to minimise the amount of equipment used whilst maximising space. For example, due to its design the scooter can often substitute for an electric wheelchair depending on the layout of the home environment giving the user the flexibility to travel from room to room, engaging fully with normal daily occupations whilst also being able to leave the environment without the need to transfer from one aid to another. 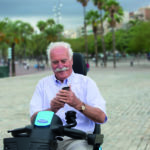 What a three wheeled mobility scooter offers is the ability to empower the user in flexibly managing their daily routine and make choices about occupational engagement that they otherwise may not be afforded. It is this increase in opportunity, both socially and personally, that supports an individual in maintaining and indeed improving their health and wellbeing.